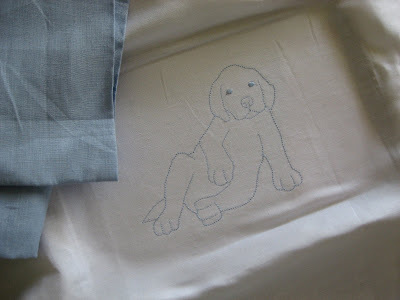 Thanks, Sister for all your linen samples… I’ve put some to good use today! Within the last 72 hours or so I’ve had this sudden sense of urgency to get ready for the baby. Why didn’t I think about this over the last 9 months and work at a snails pace? Now, I’m paying (physically and literally) to put together a nursery for a little guy who will hopefully make an appearance sooner than later. On top of a nursery… I’ve started about 4 projects that “have” to be done before he gets here! I’m certain there aren’t enough hours in the day and perhaps that’s why I’m awake every night at 3:20 running my list through my head while eating Yoplait Custard Style Yogurt in bed (seriously!). All I can say is “Mother’s Morning Out” (which started this morning) is so good for my mental health! i can’t wait to see the little guys room! I went through the exact same thing around 36 weeks with my last one and thought, “Where have I been?”. It all gets done, though. You can do it! And if not, then it will be fine, too. Good luck with the to-do list! That is so funny! I did the same thing. Seriously about two weeks before samuel came we made a huge trip to Babies r us. I had not done one thing for the little guy. However with your third it seems like there is a little less preparation. Make sure you take time to rest before the little guy comes. What a blessing it is to have three. Sounds like nesting to me. 🙂 I went crazy like that and three days later had my baby girl. I hope he comes soon for you, but not so soon that you don’t have time to finish your projects! Just do the next thing. As if that’s possible- the answer would be Survive at the top of the list. Be systematic. You will get done what really “has” to be done. I know everything your about to do will blow us all away, so post pics as you complete! I can’t wait to see pictures of little man’s nursery!